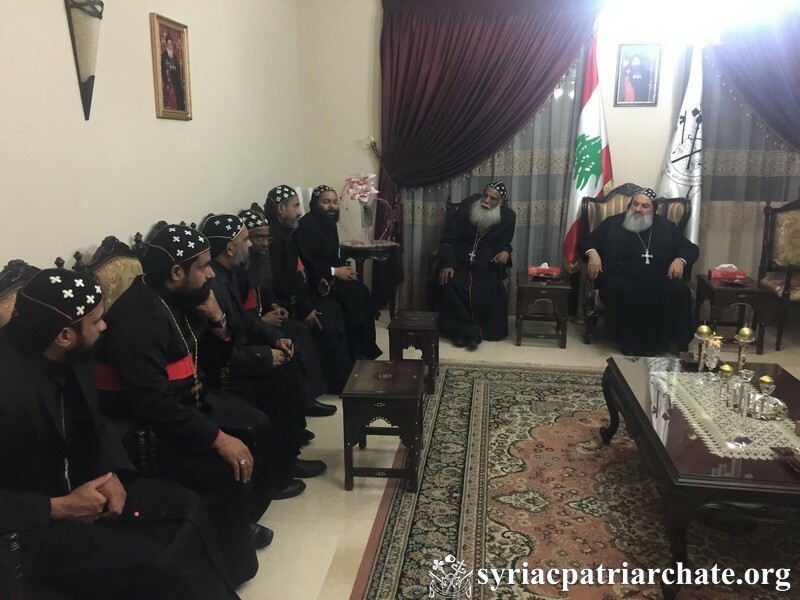 Arrival of a delegation of 17 Diocesan Metropolitans from our Syriac Orthodox Church in India headed by His Eminence Mor Gregorius Joseph, Metropolitan of Cochin and Secretary of the Regional Holy Synod of India, as per the direction of His Beatitude Mor Baselius Thomas I, the Catholicos of our church, to visit His Holiness Patriarch Mor Ignatius Aphrem II at the Patriarchal Residence in Atchaneh, Lebanon. The purpose of the visit is to offer their support to the Holy See and to His Holiness, as well as to discuss matters related to our Church in India. 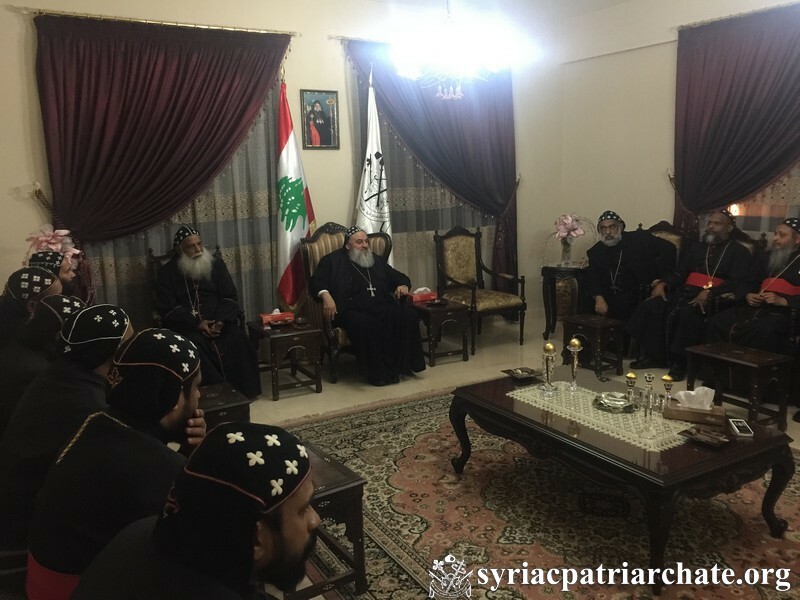 This entry was posted in Featured, Featured News, News and tagged His Eminence Mor Gregorius Joseph, His Holiness, India, Patriarchal Residence, Syriac Orthodox Church by Orthodoxy Cognate PAGE. Bookmark the permalink.